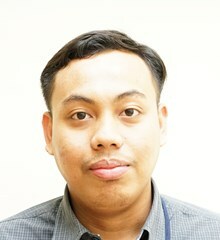 Mr Syamim Hussin is an experienced expert with over two years of IT industry experience. He began his career as IT Executive at Sushi King Headquarters, Subang Jaya where he was onvolved with Point of Sales System setup. He then joined an IT Shared Service Outsourcing company at Jalan Sultan Ismail, Kuala Lumpur, where he was System Administrator for one year.